Use the 6 links at the top of each page to navigate around this website. Though these pieces were meant to be played at the Presbyterian church that I recently served at, I think, since they were chosen according to the RCL readings, they should be to some extent transferable to my work at St. John's... this would save a lot of double-reading, for sure! I'm happy to share the live recordings of my playing at semi-final and final rounds of the 2018 AGO NYACOP competition held during the national convention in Kansas City, MO. Also, after more than five years, I've finally gotten some new profile photos! Here is a link to my online portfolio, which contains many samples of my musical output, including performances, arrangements, organizational development, planning, etc. I'm rushing to prepare the music for three piano concerts that are rapidly approaching. They will all be in Michigan -- Flint (Jan. 26), Ann Arbor (Feb. 7), and Ypsilanti (Mar. 14) -- and I will be presenting the same program at each location. Please see the image on the left for detailed addresses. Though I am rather stressed about the preparations right now, I am also quite excited about presenting what I think is quite a unique set of pieces for you. I hope you can join me. If you're reading this from out of town or are unable to attend any of the concerts in person, I'd like to draw your attention to the live-streaming option on February 7. You can watch the concert in real-time, right here on my website. I'll post a video link in a couple of weeks. I'm honored to have been invited a few months ago to write an article for The American Organist, sharing my experiences as both a scientist as well as a musician. You can read the article in the October 2013 edition of TAO. It's entitled "Music and Science as Parallel Pursuits of Truth and Beauty". 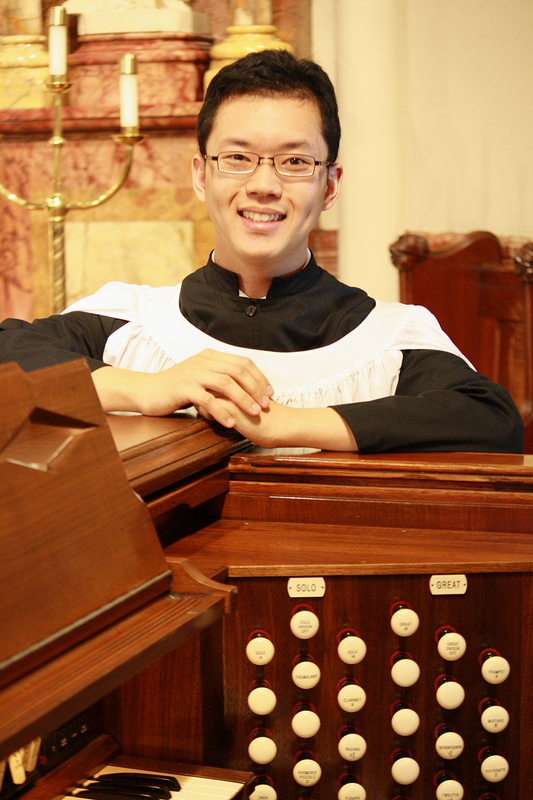 I enjoyed playing at the 2013 Arthur Poister Scholarship Competition in Organ Playing this past Saturday, April 6. It was an exciting experience to meet, talk with, and hear five other student artists representing schools from all over the country (Kansas U., Oklahoma U., Eastman, Indiana, Notre Dame). It was also so enriching to spend some time with the judges (Kola Owolabi-Syracuse U.; Don Sutherland-Peabody; Judy Congdon-Houghten College, NY). 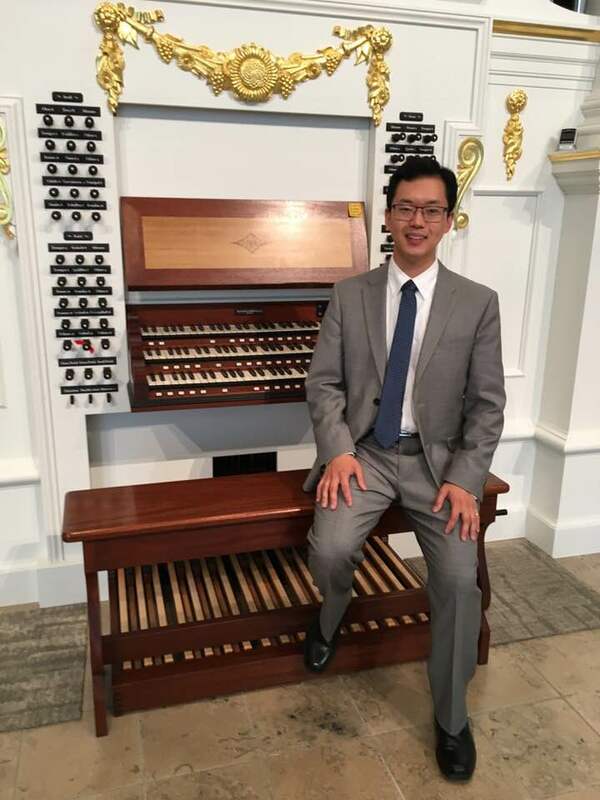 Through the judges and the competition coordinator - Will Headlee - I learned quite a bit about the great organ teacher whose legacy the competition commemorates, and to discover more about the diverse American organ scene of the 20th century. I'll be back in Syracuse in the Fall to play the winner's recital in the university's Setnor Auditorium, which holds a notable Holtkamp built in 1950. Below are a couple takes from the live final round at St. Paul's Cathedral, Syracuse. Thanks for everyone who came (in person and virtually) to hear me play my first piano recital in over a decade last weekend. It has been very fun and fulfilling to get back to concertizing again. I've posted a short 6-minute clip on YouTube of the opening piece from the concert - a beautiful Fantasia by English Renaissance composer Orlando Gibbons. Enjoy! 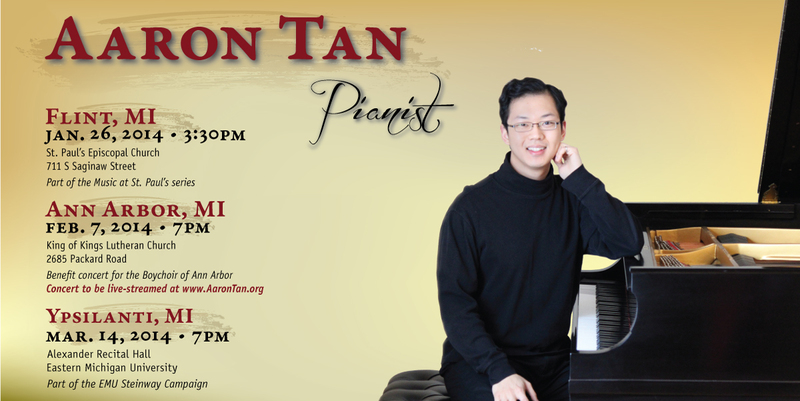 This live stream will broadcast my upcoming piano recital on October 7, 2012 at 7:15pm, in Ann Arbor, Michigan at St. Andrew's Episcopal Church (306 N. Division). Are you a student in MSE250 looking for the Repository? Click here! 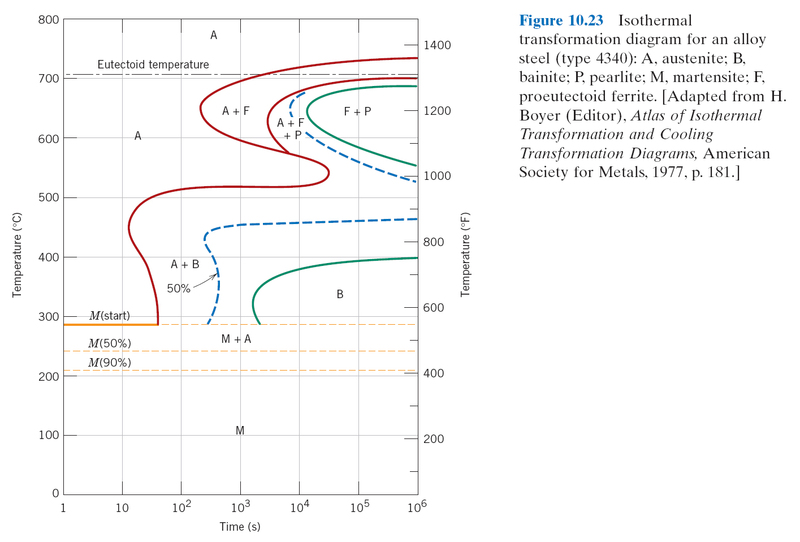 I've published my second journal article in JACS Communications. And so it begins... in a couple days, I'll be playing the first of 7 concerts lined up in the space of 5 weeks, in various places ranging from Toronto to Alabama. I'll be starting out in Windsor first, at All Saints' Anglican Church, where my teacher, David Palmer, has played and directed for over 30 (or is it 40???) years. It's a lovely little church, full of wooden furnishings, stained glass, and memorials. 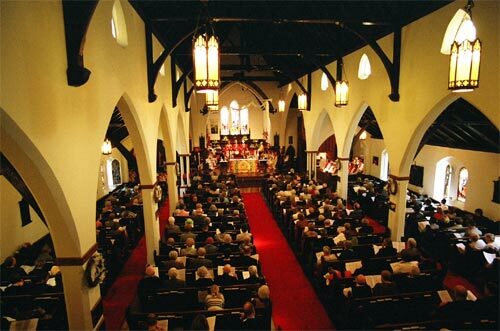 And judging from this picture, which I pulled off the church website (www.allsaintswindsor.ca), it's got quite a thriving congregation still! After Windsor, I'll be playing in Ann Arbor at Bethlehem United Church on Friday, October 22. That will be the first time I'll be performing the Elgar Sonata, which I've been hacking at since the summer. Though it has some absolutely gorgeous moments, I think I know the reason why it is so rarely played: because it is a horrible task to register properly! In November, I'll have to play it at St. Paul's Cathedral in Detroit, and I've spent 2 four-hour practice sessions registering just 2 movements of the four-movement piece! Nevertheless, I think it'll be quite a thrill for people to hear (if I can play it properly). 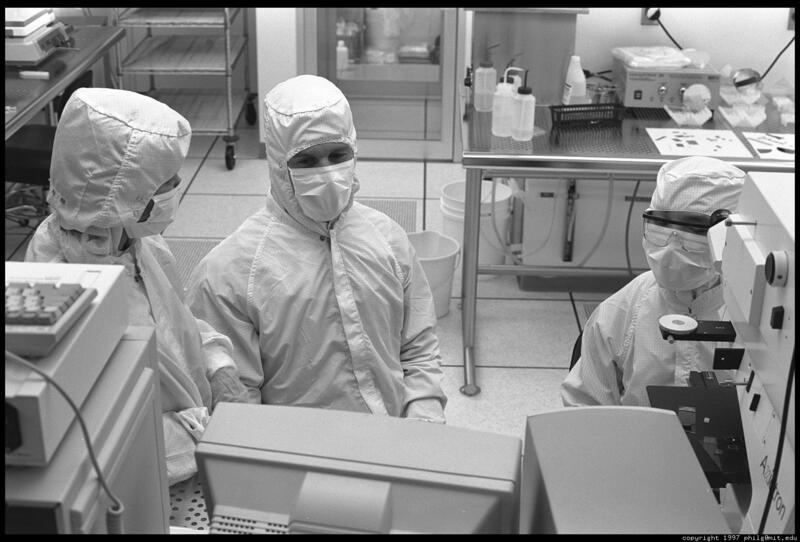 In other news: I've been spending a lot of time in the clean room (more formally called the Lurie Nano- fabrication Facility) at the U of M, for my research. We're looking at ways to measure temperatures of surfaces on the nanoscale. It's fun to try and identify people only by the upper half of their face, and by their girth! I've updated my upcoming concerts. The summer was fun; concluded a project at work, went to DC for the National AGO Convention. I visited Toronto during Labor Day weekend. A while back, I emailed a few of my colleagues in ministry and church music, to share their thoughts on the following statement: "God does not look down on the use of any type/kind/genre of music used to worship him, as long as it is done with a sincere heart." I got a wonderful series of thoughtful replies: I provide them here below. Names have been censored for fairness. =) Oh, and I still heartily welcome any new replies that you may have! Email me: aaron.c.tan.music@gmail.com. Just curious as to how you would respond to the following statement: "God does not look down on the use of any type/kind/genre of music used to worship him, as long as it is done with a sincere heart." Your response can be as brief or verbose, affirming or critical, thoughtful or naughty, as possible. Just don't reply to all... I didn't intend to spam people! Best wishes to all in the coming season! I would agree. However, there are certain forms of music that are inappropriate for public worship of almighty God. Q: And who has the authority(?) to determine which forms are inappropriate? A: I leave that up to the individual church. The clergy and the musician should be competent enough to determine what is appropriate. I have not heard this statement before but it appeals to me. I would probably add something about using to the best of our ability the musical gifts which God has given us. I think [your question is] a very good one. It is too easy for us to get into the idea that sincere worship is all that God wants from us. Even from the writings of the OT, God was very clear how he wanted liturgies to be celebrated. There were strict guidelines about what to do and when to do it. Of course, you will hear people who will say that these laws and rituals were abolished through Christ.....but they are forgetting that even Christ was an observant Jew and fulfilled all the ordinances and guidelines of such Temple worship. This is just one perspective that could be expanded on. So, if you are playing a concert, you do the best music at the best possible performance level for your audience, but it doesn't matter in the case of offering it to the Almighty (?) I suppose, if you play for an audience, and your heart is in the right place, even though you are doing trite music, badly prepared, that is okay, too? I occasionally ask our Div Students at Trinity: "If you invite guests to dinner, you always try to prepare the best recipes and present them in the best way you can. Should you not do the same when you prepare offerings at the Eucharist?" The other thing to consider is the theological content (or lack of it) in the music itself. Most of the popular (praise band) music is (1) not congregational, and (2) is more about how you feel than about praise of the Almighty. Q: I suppose you could say that the music presented at a Eucharist is played/sung for an audience who is infinitely more important than any that you will find at any concert. I would have to say that the first part of this statement is true. I would rather dissociate the sincerity or lack of same by the worshipers from the quantifiable elements of music such as style, standard of performance, genre. In this respect, while it is true that God does not look down on any particular style of music used in His worship, still it behoves us to bring our very best before Him in worship, since He at all times gives to us His most excellent gifts, including the bounty of the earth He created, reason and intellect, etc. And, frankly, I don't have a problem with much of the CCM that is used in worship today, again if it is performed to the highest possible standard. It's not my cup of tea, and when I retire, I won't be found in a church that has gone that direction, but if it brings others closer to God and Salvation through His Son, who am I to dismiss it? Here's the rub: in order to perform most of what is being produced as CCM, one needs to be at very professional level indeed. This is music that is most definitely NOT intended for congregational participation, for the most part (and what IS intended for the congregation tends to be simplistic in the extreme, both as to tune and text). The end result is that poorly funded, amateurish and poorly performed traditional music is replaced by poorly funded, amateurish and poorly performed CCM. All that aside, assuming an excellent and well-funded traditional program vs. an excellent and well-funded CCM program, what it really comes down to is personal preference and choice on the part of the worshiper and the congregation -- not on the part of God. I'm wary of statements that imply 'always' or 'never'. Also, there is a difference between private and public worship. While God may not look down on any genre, public worshippers may be offended by certain styles. Remember Paul's statement about eating and drinking in front of young believers. Food and drink in itself is not a problem but if it offends another in their faith, then refrain. But I am sure that God has much more compassion and understanding regarding our expressions of sincere worship that any of us do! I agree with this statement. Although many music major people think other wise. I don't think children music or contemporary music is any less worshipful to God as long as our heart is there to praise Him and Him alone. Even though it may sound out of tune and doesn't sound nice to our years, as long as that person is sincere in praising him, I think God will be pleased no matter what. What do you think? But I do agree on some unworshipful praise songs where it's more to sing for edifying one another than God. Ummm... happy new year...! Yes, I am still alive, and have been very busy. I have a contest to prepare for, research to do, homework, cleaning, cooking and all the other usual suspects that steal one's time. I also have my doctoral oral prelim coming up in April! Exciting!! Other exciting news is that I will be starting as Organ Scholar at St. John's Detroit immediately after Easter, where Huw Lewis takes charge. Richard Newman, the current Scholar over there, will essentially be swapping posts with me, as he will be moving more permanently to St. Paul's Cathedral (also in Detroit), where I am temporarily assisting Jeremy Tarrant up to Easter Sunday. It is wonderful to be able to play for liturgically-thoughtful (and thoughtfully liturgical!) worship once again. My first research article was accepted yesterday in Applied Physics Letters! The title is "Measurement of Thermopower and Current-Voltage Characteristics of Molecular Junctions to Identify Orbital Alignment". 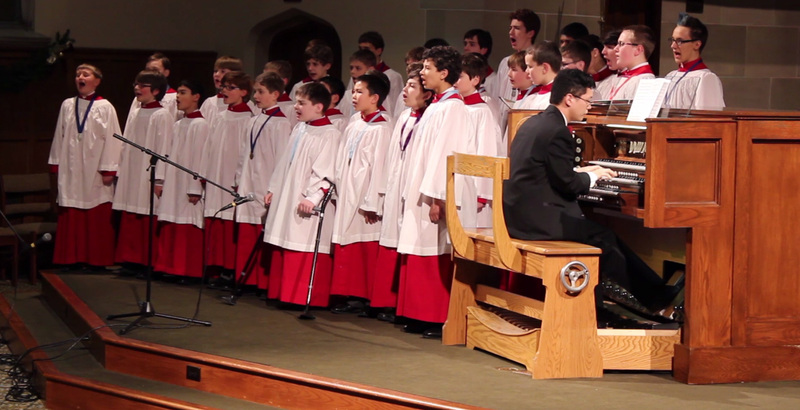 With 5 weeks to go, the FPCY choir began rehearsing the Sussex Carol this past Sunday. At least we're planning ahead! Will be resigning from my post at FPCY at the end of December. See my resignation letter here, and a little essay here. I look forward to being able to explore how various churches do things - something that most church musicians don't have an opportunity to do! Updated my links page and added a few people that are dear to me: Kenneth Inkster, Naki Sung Kripfgans, Thomas Murray (who I have never met in person, but whose playing I absolutely love), and David Palmer. Published my first research article a couple weeks ago. The manuscript was submitted to Applied Physics Letters, and am awaiting acceptance. Excited for new term. Will not be taking any courses for the first time. Will be a teaching assistant for the first time. May publish paper for the first time. Excited for new choir season. Will be directing. Lots of liturgical renewal. Using a Plainsong Psalter. Great music. Especially proud of compiling the Chorister's Handbook and addendum, which outlines the choir's music from this coming September to next June 2010. - being able to attend 3 very sublime services at St. Thomas's and St. Mary's Anglican Churches, and witnessing the near-perfect interplay between music and liturgy. This was my first time to visit St. Mary's, and it was thrilling to worship in the church that, with Willan's guidance, helped steer the direction of Anglican church music in Canada in a higher direction. - hearing Ken Cowan live on the final night of the convention. His memorized and mesmerizing performance of Reger's transcription of the Bach Chromatic Fantasia and Fugue was jaw-dropping. I've chosen the music for my annual Christmas eve recital. Yay! See here. Just procrastinating on studying for my last exam, which is in three hours (and immediately preceded by my organ jury). I've updated the rep list after probably 6 months. It currently reflects the stuff I'll be learning for the 2009 RCCO National Competition being held in Toronto on June 27 / July 2 (I was accepted as a semi-finalist recently!). The Ypsilanti Pipe Organ Festival's first season concluded yesterday with a concert by Marilyn Mason and George Shirley. Onto the next season! In research news: after more than half a year of tinkering, I have finally gotten a reasonably stable contact of a gold-coated AFM tip and a gold substrate covered with a monolayer of alkanethiols. We tried doing an I-V characterization of the system and got that signature sigmoidal curve that pervades the literature. The almost-unbearably long time that it took to get this stable contact (which is only just the beginning of the work we're trying to do) made this milestone not so thrilling to witness. Kind of like a Pyrrhic victory. Back from and done with a string of performances. It was fun to travel to New York, Connecticut and Texas, all in 5 weeks! In mid-March, I travelled to Syracuse and played a recital at Hendricks chapel. This is the first Holtkamp organ I have encountered. I quite enjoyed the rich plenum he seems to be known for. Kola Olowabi, the university organist, was very nice, and, being both Torontonians, we had a good chat while I was there. I also got to stay at the university's Sheraton hotel, which was quite pleasant, to say the least. In early April, I had the priviledge of auditioning for a scholarship for church music studies in Connecticut, sponsored by Jim Bagnall, a member of First Congregational Church of Simsbury (I believe! ), in memory of his late wife, Charlotte Hoyt Bagnall. It was a surprising coincidence that Mr. Bagnall did his studies at the University of Michigan, in engineering. He was very gracious to let me board in his lovely home the night before my audition. I enjoyed preparing for the audition very much, as this scholarship fit in perfectly with my primary musical aspirations the most - of becoming an capable church musician. The judges chose great pieces, too, for us to learn: Walton's 'Jubilate Deo' and the hymn tune 'Laudate Dominum'. The day after playing in Texas, I had to rush back home to Ann Arbor to play a concert honoring Marilyn Mason's lifetime career. This was sponsored by the National AGO, and bigshots from across the country were in attendance. It was quite scary, and quite an honor to play. Finally, here goes another long-overdue update. It turned out that the new organ would not really be done until this coming weekend (the 18th). I did play a Christmas Eve recital and service using the organ, but it was dreadfully out of tune, and had no mixtures. Also, to add to the excitement, there was an electrical problem when I went to practice on Christmas Eve afternoon, which was causing the console to not communicate with the pipes (i.e. no sound). But thankfully, things will settle down now, now that Mr. Ott has come back yet again to do the final final touches. John Weaver comes to church next weekend. I'm sure it will be interesting. And so this unfinished post will finally be completed in late February, after Dr. Weaver's wonderful concerts and workshops, and after my own recital on the new Ott organ. The relentless stream of work still comes. At my lab, we are close to getting good data for the experiments I've been working on all year long. I have to submit applications for a couple organ contests tomorrow (Saturday, Feb. 28), because they are somehow due on Sunday the 1st. I hope the post office is open. My concert in February was quite a rushed job. I had to attempt to memorize the core of the program (about 50 minutes of music) in 3 weeks. Some parts, suffice to say, turned out better than others... but thankfully, I got through it all, and will get a "second chance" to play all the pieces more properly in Detroit in two weeks or so. But - here is the important - I do not know how much longer I can keep up the daily routine of going into the lab at 7:30am, leaving at 7:30pm, then having a quick dinner, and practicing until midnight. I felt particularly worn out after the February 22 concert, and was glad to just drop almost everything practice-related for 3 days (now I have to rev up the engines again for Detroit). Simply put, I am considering not playing any more recitals next year. At least, not ones that involve me learning entire new sets of music. I apologize for the lack of updates. Things have been busy, especially with research, practicing, designing another website, and publicizing organ events in general. The new organ at my church, First Presbyterian of Ypsilanti, has been sitting behind the pipe facade for quite a few weeks new. Voicing is scheduled to be complete by the end of November, in time for Advent 1. New church year, new organ! Good times. 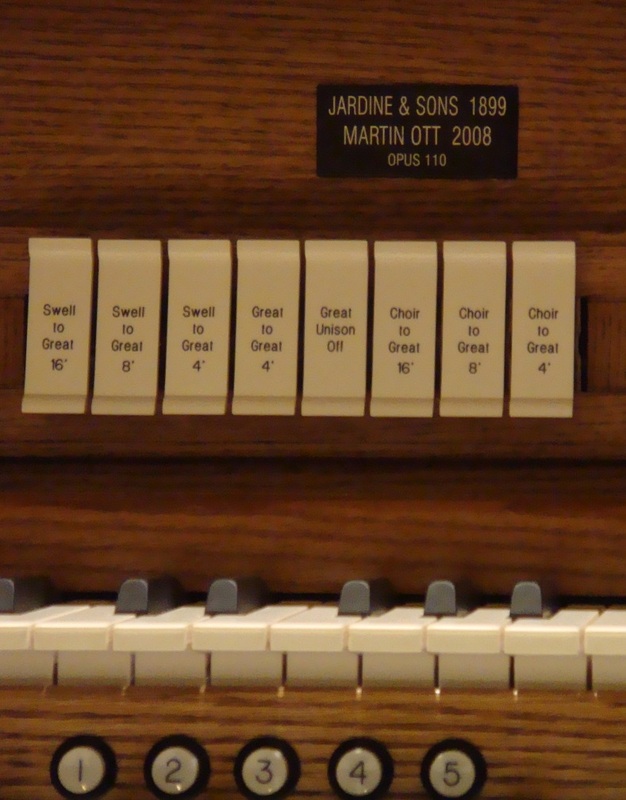 Word is starting to get out about the concerts that are going to be played on the new 3-manual instrument in 2009 as part of the Ypsilanti Pipe Organ Festival. You can check out details here. My Christmas eve recital at the church will be at 9pm. I have my rep selected now (finally)! Want more info? Click here. I'm sad to say that the current organ at FPCY is no longer working, and will not be fixed. However, it will be totally disassembled by the first week of September anyway, because the new organ will need the space! But for now, I won't be able to play through those 6 trio sonatas on the right, as I had originally intended. In their place, I'll just be improvising preludes and postludes on the piano (it feels quite different than organ improvisation - try them both sometime!). A calendar was added to the main page, and the navigation bar buttons were improved. You can now listen to audio samples of Aaron's playing at the Media tab. His repertoire list is also included there. Keep checking back on the Repertoire section. There are sample tracks of Aaron's playing that are available there, and a lot more will be coming shortly (he just has to find where he saved these files...) As always, Aaron would love to hear your comments about his site, music, or life - contact him here to do so. He is a fairly fast replier. 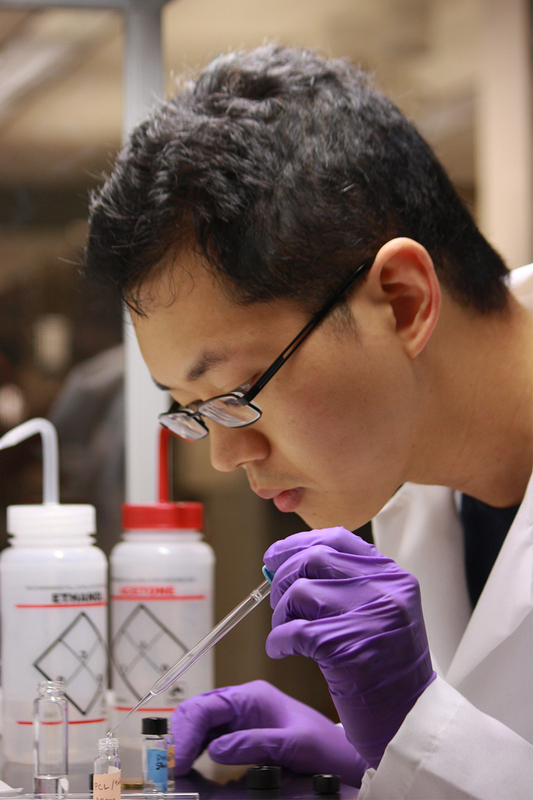 Welcome to the home page of Aaron Tan, a doctoral student at the University of Michigan, Ann Arbor. The first draft of Aaron's first personal website was completed today. Combing through the CSS style sheet to find bugs took much longer than expected, but thankfully, all the errors were (eventually) resolved, as one can see. Take a couple minutes to browse around. Listen to some sample tracks in the Repertoire section. Let Aaron know by contacting him if you find anything of interest or intrigue. He is usually expedient in his replies.